RED FLAG! is a Cold War propaganda art book. It utilizes the many subtle forms of capitalist propaganda to portray the sensationalized fear-driven environment of the 1960s. 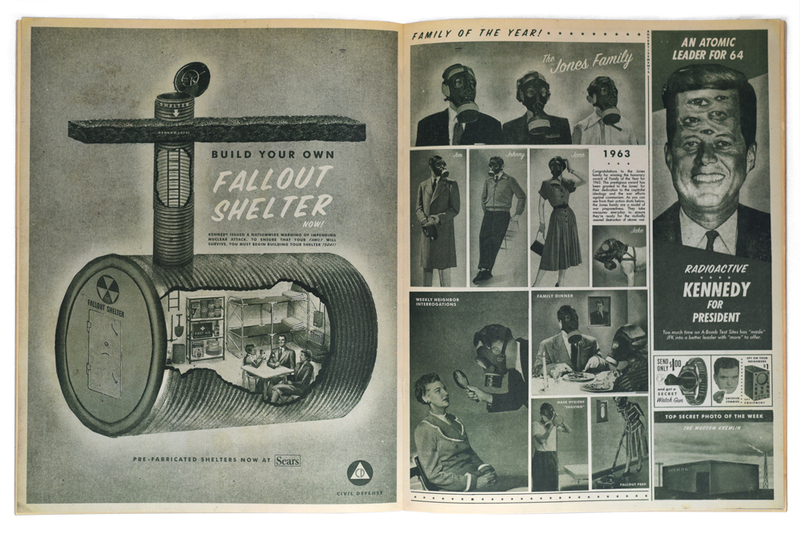 This pamphlet focuses on the American home front issues from nuclear survival to spy wars. Get your copy today and learn how you can survive and thrive in the Cold War! Each page is packed with highly detailed images, made using a digital collaging process that mixes found images and digital painting and assembling. 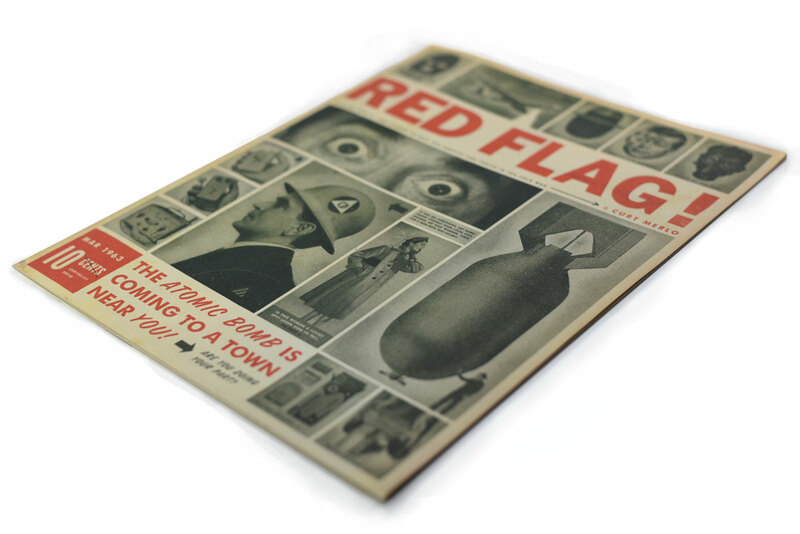 Thousands of images were cut out and assembled using vintage print materials from magazines, newspapers, and advertisements from the 1960’s to create this Cold War era periodical style. Complete with 50 years of aging, scuffing and fading- you won’t want to miss it. Utilizing a tabloid size magazine format, the art takes the form of advertisements, articles, and newspaper comics to covey a realistic but satirical look at the issues surrounding domestic cold war life. This ephemeral medium is meant to further articulate that this is a pamphlet one might have received during this period in the war. The book is 16 pages in a large tabloid size (11” x 14”) on 85 lb. matte paper with a 105 lb cover.